It was 50 years ago today... since the cover shoot for Sgt. 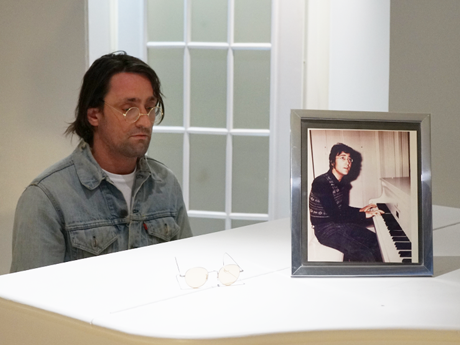 Pepper’s Lonely Hearts Club Band took place. 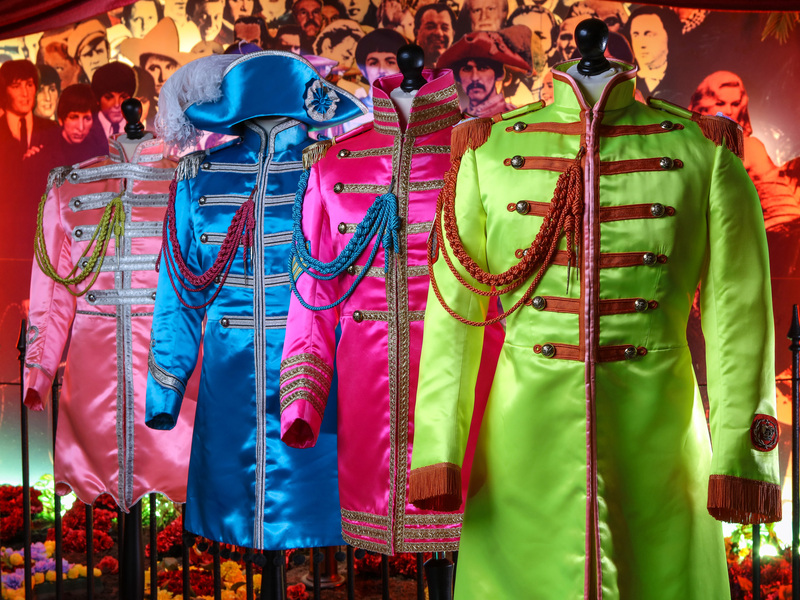 Designed by Peter Blake, the iconic album artwork features each Beatle sporting a heavy moustache, four colourful suits, and a group of celebrities in the form of wax figures and cardboard cut-outs. It’s a little-known fact that Sir Peter Blake shot alternative covers to the album, which were discarded in favour of the famous one. 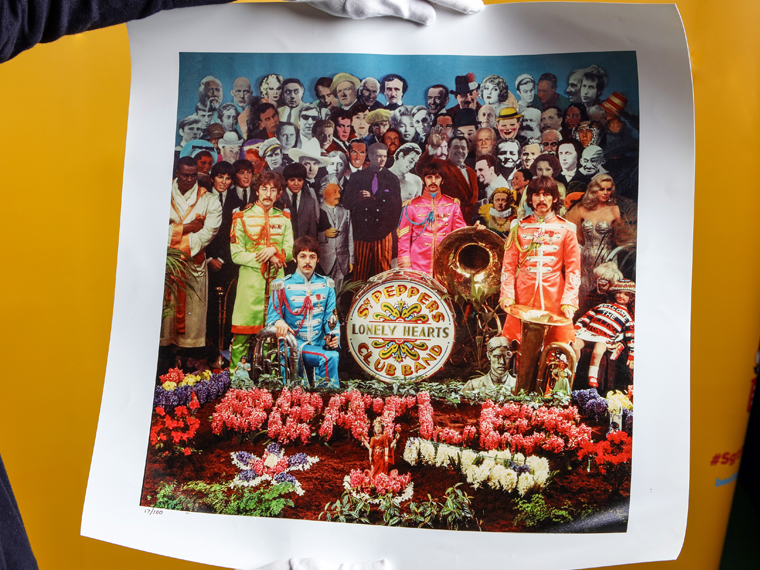 The alternative uses the familiar collage backdrop to the original, but makes some small alterations including the positions of each Beatle. The alternate arrangement depicts Ringo Starr beside a tuba and Paul McCartney kneeling to the left of the bass drum. More significant is the inclusion of audience members who were later obscured or nixed from the final arrangement, including Albert Einstein, Mahatma Gandhi, and Bette Davis in costume for her role as Queen Elizabeth in The Private Lives of Elizabeth and Essex. This print is one of only 100 copies given to senior EMI executives in 1987 to mark the record’s 20th anniversary. We unveiled the alternative cover in celebration of the album's golden anniversary. See the limited edition photograph exhibited in our Sgt. 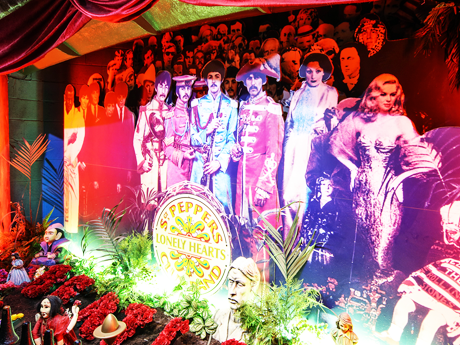 Pepper room, in the Main Exhibition, alongside the four famous suits which symbolise the era-defining Sgt. Pepper’s Lonely Hearts Club Band. We hope that you enjoy the show! Millie is a second year Marketing student at Liverpool University and a Marketing Intern at The Beatles Story.